But I'm prepared. We have food, toilet paper and all that. More importantly, I have firewood, a manual coffee grinder and a steel peculator. Bring on the snowpocolypse, I will still have coffee, so it will be ok. I have my priorities. 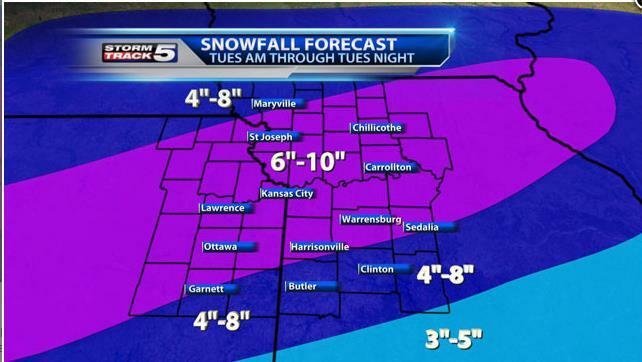 My city ( a suburb of Kansas City) is not so well prepared. Despite the fact that we have largely been spared this year, they have run out of ice melt for the roads. The kids were out of school today, not because the weather was bad. It was actually quite nice. Nope, the morning commute was bad because they couldn't treat the street after last Friday's ice. To give you an idea of how NOT bad it's been. My friend in Arkansas has kids who have already missed 5 days of school. Ours have missed one. It's been going around us and getting everyone else. The city should have ice melt. They just didn't plan ahead and now it's too late to get more. The people who have had actual snow bought it all for their cities. Maybe the local cult (IHOP) stocked up on ice melt and they'll clear the streets. Gotta keep the victims um, I mean "faithful"coming in somehow.